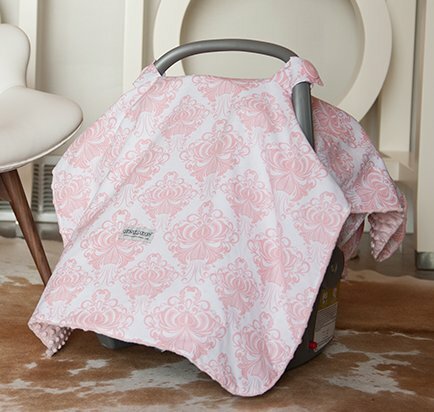 If you have a baby or are expecting a child I recommend getting a car seat cover for their car seat. Car seat covers can be pretty expensive. I have a website that I have used a car seat cover for both my daughter and I just bought one for my baby boy that is due in a month. 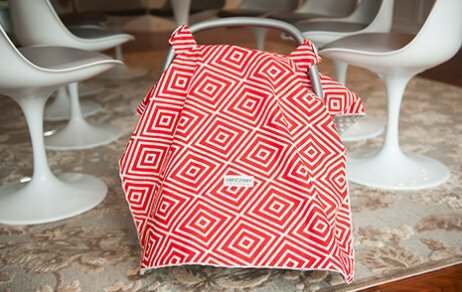 I have a promo code for a FREE Carseat Canopy, you just have to pay the shipping cost. ($12.95) I am sure you have all heard of and/or seen the carseat covers from this website. But they just got a lot more new designs this year and I am loving all of them! 1. Go to Carseat Canopy’s website and choose the design that you like best. 2. Once you choose your cover, do steps 1, 2, and 3 and it will automatically put it into your shopping cart. 3. Put in the code “babytips” (no parenthesis) and it will automatically take off $50 dollars. The canopy costs $49.95, and the total should be just the shipping cost $12.95. That’s how you get your free cover. ***NOTE! : A lot of the newer car seat covers are on back order until the end of April, because of popular demand. They won’t ship until then so if you’re having a baby in May or later I would still order it now to get it in time. I suggest the whole caboodle it is only $30 more and totally worth it. I think. The car seat slip cover fits most car seats. But may have trouble fitting some. Here are a few designs I love that I wanted to share. They have this new cute one for a girl that I just love! This boy one is cute…it hurts my eyes a little bit, but I like it. Especially since the inside of it is gray minky. I like the color combo. I got this one for my boy. Some people think it’s for a girl but I personally think it’s more boyish than girlish. 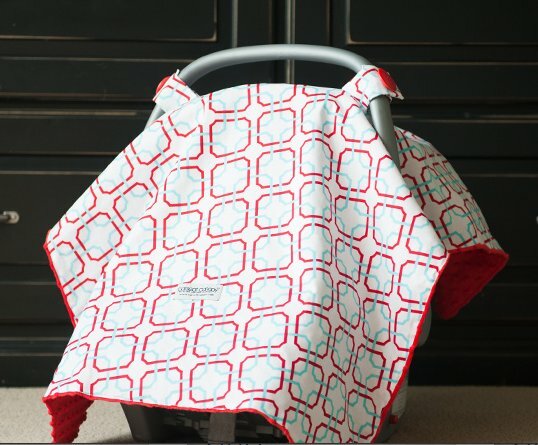 Go get your free carseat cover! Once you buy it, you will get a ton of other codes to their sister sites and get more free things and all you’ll have to pay is shipping cost as well. It’s just as cheap to buy one of these covers as it would be to make one. So if you like the designs, I think it’s totally worth it. So you don’t have to worry about making a cover yourself. 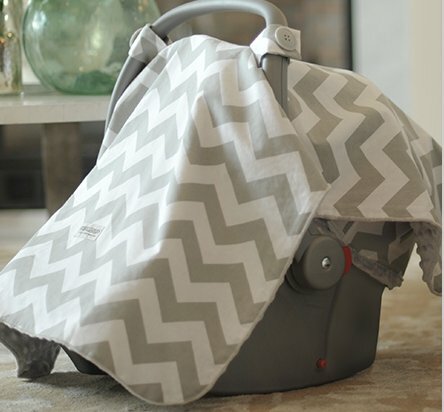 These are some of the cutest car seat covers I’ve ever seen! I think it’s a great idea to have a way for the baby to be covered up. Like you said, touchy people with no sense of personal space can be the the most annoying thing that comes with having a baby. This can protect them from that.